Sol, the sun god, was known to the Romans as Sol Invictus. As the sun-god, he was the premier divinity of the empire. 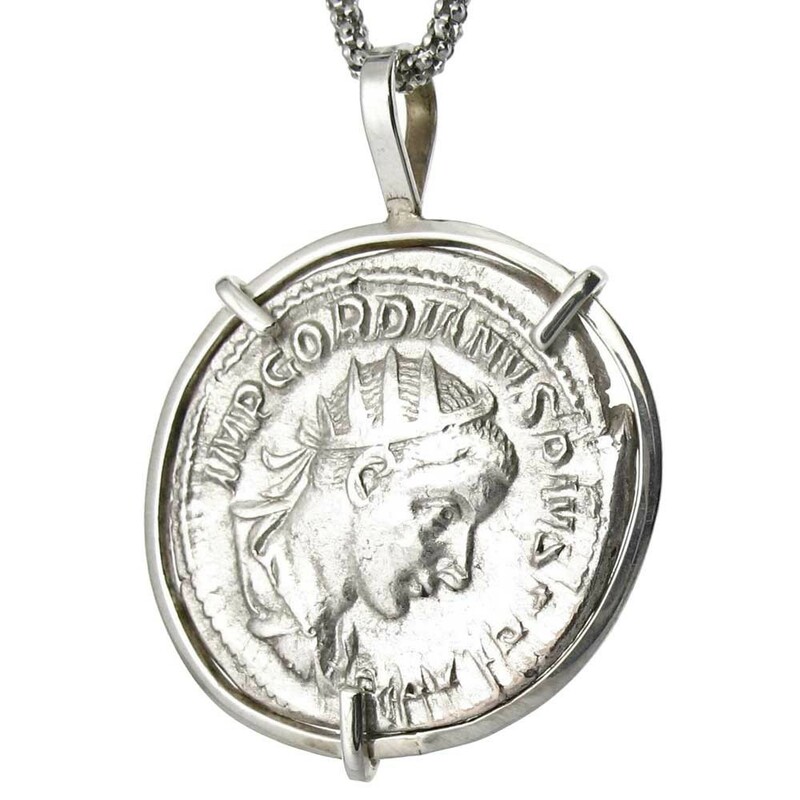 This silver antoninianus featuring Sol was issued during the reign of Gordian III between 238-244 A.D. Gordian's profile is on the reverse, the coin can be worn with either side showing. 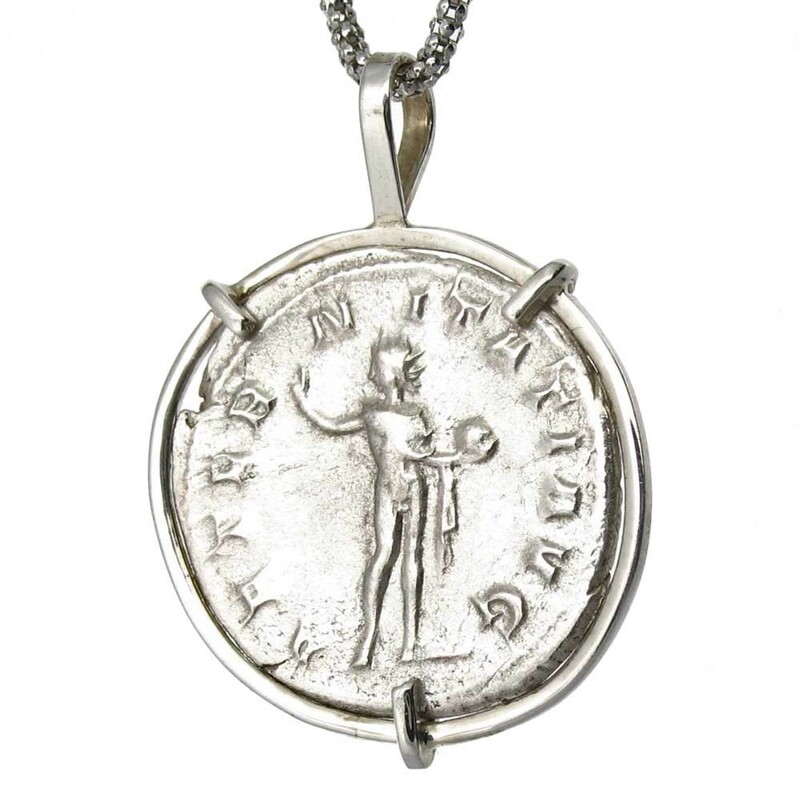 The coin is set in a sterling silver frame. . Sol is holding the earth in his hand. Interestingly the festival of Sol, known at the Birthday of the Sun, was held on December 25th. You may choose your style of necklace at checkout, the pendant comes complete with a Certificate of Authenticity and descriptive brochure.